It is time to get ready for the revival of Queer Eye. The new series is now available on Netflix, and it will bring to viewers a new Fab 5. Netflix released a video for the series teasing the new faces of Queer Eye by introducing them to the previous stars of the series. Find out more about the new series with details from a press release. Check that out below. “It’s been fifteen years since the Emmy Award-winning series Queer Eye for the Straight Guy revolutionized reality television. 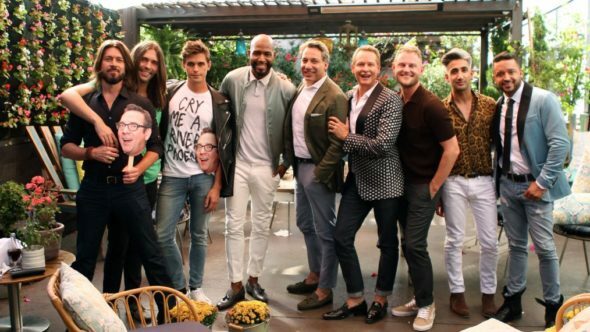 The series returns to Netflix and is going global, introducing audiences around the world to a modern aesthetic, diverse perspective and a brand new Fab Five: Antoni Porowski (Food & Wine), Bobby Berk (Interior Design), Karamo Brown (Culture), Jonathan Van Ness (Grooming) and Tan France (Fashion). This season Queer Eye trades its original New York setting for communities in and around Atlanta, Georgia. Our new Fab Five will forge relationships with men and women from a wide array of backgrounds and beliefs often contrary to their own, touching on everything from LGBTQ rights and social commentary to how to make the best farm-to-table guacamole and more! Do you plan to check out the new Queer Eye? Tell us what you think. More about: Netflix TV shows: canceled or renewed?, Queer Eye, Queer Eye: canceled or renewed? Queer Eye for the Straight Guy: Netflix Reveals the New Cast; Will the Original Fab Five Return?